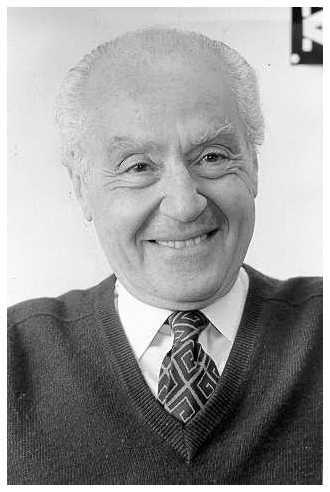 The Antioch Review published several articles and stories by Ihab Hassan during his life, beginning in the Summer 1982 issue, with an essay on the writer, Saul Bellow. That was followed by “Ma’lesh” in the Summer 2011 issue and “Australia Ascending: In the Mirror of David Matlouf” in the Spring, 2014 issue. His latest essay in the Antioch Review, “The Educated Heart: The Humanities in the Age of Marketing and Technology,” in the Fall 2015 issue, came out shortly before his death on September 10, 2015. Following is an article that appeared on the blog of a former student, Kevin Lynch, who had the honor of studying with Hassan at the University of Wisconsin, Milwaukee, where Hassan taught for over forty years. Lynch has given us permission to reprint his tribute to one of America’s leading thinkers. 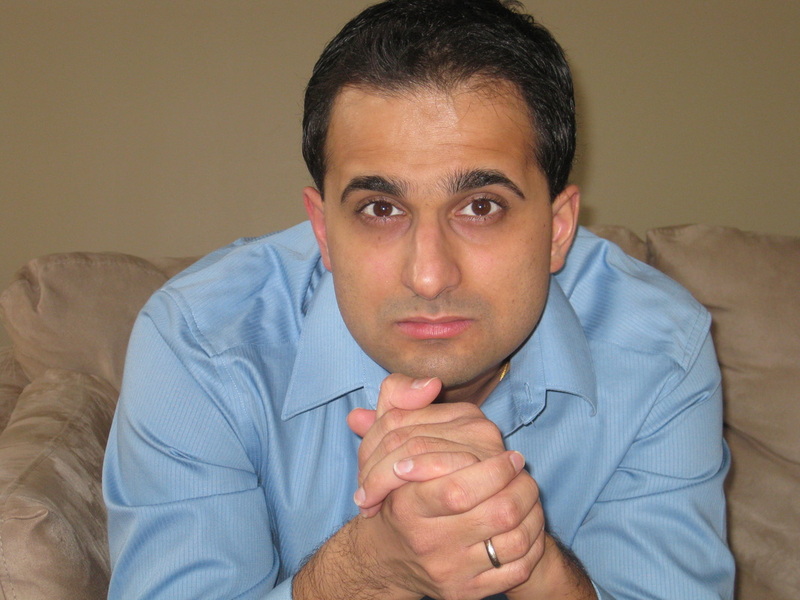 All of us at The Antioch Review mourn the loss of our friend and contributor, Ihab Hassan. In these instant-gratification times, literature may seem a hoary, aging hero, a seeker with a backpack of musty books, plodding along the shore, risking being swept away by a tidal wave of technology. I, for one, keep plodding, partly because my passion for literature was rekindled right when I was ready for it. A leave-of-absence from The Milwaukee Journal in the late 1980s helped me open another door. I began a Master’s degree program in English and encountered the most remarkable teacher of my life, Ihab Hassan. The University of Wisconsin-Milwaukee English professor emeritus died of a heart attack at 89 in Milwaukee on September 10th. At a personal level, he possessed a certain Olympian air that inspired a tinge of awe, so it wasn’t necessarily easy to approach him. This Egyptian émigré was lean and handsome, with wavy silver hair, an impeccable dresser. He had a way with female students though he seemed devoted to his longtime wife and sometime-co-author Sally Hassan. And yet, in literature’s often ambiguous and relative realm of judgment and interpretation, he loved to tease out insights from students. In our graduate seminar “Backgrounds to Modernism,” I was extremely gratified when I would answer a question he posed and he’d say, “Precisely!” with satisfied delight. In this class I read such modern classics as Thomas Mann’s Death in Venice, Virginia Woolf’s To the Lighthouse, Samuel Beckett’s Endgame, Freud’s Civilization and its Discontents, T.S. Eliot’s The Wasteland, Georg Lukac’s History and Class Consciousness, and Kafka’s The Trial. Heavy tomes, but Hassan made them compelling and important to us and our civilization. 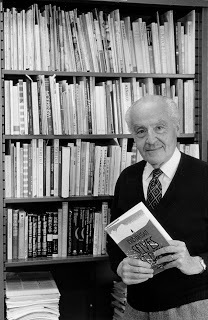 Unforgettably, almost mysteriously, his affinity for Martin Heidegger in his abstract but beautiful book Language is the House of Being made me love a part of Heidegger’s capacious mind that seemed to utterly transcend his apparent Aryan racism. Remember, Hassan was an Egyptian, whom the Nazis probably would’ve ostracized if not exterminated. I did my term paper on Kafka and, with deft written comments he told me I had a “special feeling” for Kafka. Me? I felt like a knighted everyman who would later deeply connect with a Kafka precursor, Melville’s seemingly hapless scrivener Bartleby. Hassan’s constructive critique also helped me to better guide a reader through my written thoughts with more signposts, to emphasize structural clarity. It wasn’t until years later, when I encountered a few lesser professors at Marquette University, that I realized how luminously Hassan had genuinely helped this student to succeed, and to become a better teacher. And I’ll never forget one of his most offhanded, intimate seminar moments. As several of us chatted with him after one class, he summed up the groping conversation by saying, “Now, we are all pluralists.” The comment gently lifted us up to his windswept vista of broader, deeper understanding. At that point in time, pluralism — a non-confrontational, more inclusive term for the burgeoning multi-culturalism and globalism movements — signaled a cultural shift just beginning to groan into place, after postmodernism. 3 His observation in 1986 foretold the still-nascent Internet’s collective dynamics and ways of being, as Heidegger put it. Hassan didn’t hang on to one great accomplishment as time passed. He noted that predecessors used the term “postmodernism” before him, but he “stuck with the term and tried to clarify it.” 4 Humble and wise, he sidestepped his own renown and kept reading the zeitgeist. He decried the self-referential, insular specializing that began reducing so much “post-modernist” theory to academic or esoteric play. As a professor of such cosmopolitan range and brilliance, Hassan gained international renown. He was a visiting professor in Sweden, Japan, Germany, France and Austria as well as schools in the United States. He won two Guggenheim Fellowships, in 1958 and 1962, and three Senior Fulbright Lectureships in 1966, 1974 and 1975. Hassan’s “Radical Innocence” which reached mass-paperback audiences, is a classic examination of the contemporary American novel of the 1960s. Courtesy amazon.com. So it was a huge coup for UW-Milwaukee — the little brother of the magnificent UW system’s jewel in Madison – to snag him in 1970. By then, Hassan sought a deeper sense of the peculiarly American mindset and genius, perhaps buried in the heartland somewhere. This Middle Eastern Americanist with his deep “background in modernism” had found a new concept for apprehending our native literature in his pioneering book Radical Innocence: The Contemporary American Novel published in 1961. 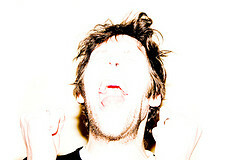 He laid out important early templates for understanding Gore Vidal, James Baldwin, William Styron, Jack Kerouac, Ralph Ellison, Flannery O’Connor, Norman Mailer, John Cheever, Truman Capote, Saul Bellow, Carson McCullers, JD Salinger, Bernard Malamud and others – yes, a head-spinning literary hodgepodge that he made coherent. 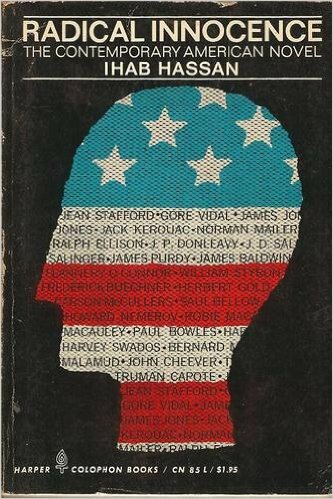 And the best short introduction to American literature I know of is Hassan’s 194-page Contemporary American Literature 1945-1972: An Introduction. 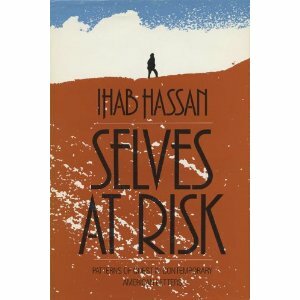 An exemplary book of Hassan’s mature period as a critic is “Selves at Risk: Patterns of Quest in Contemporary American Letters.” Courtesy amazon.com. And yet, despite his fame and glamour, he was the only teacher I’ve ever known who invited his students to his home for a seminar. On the last class of the semester, we came to the professor’s spacious residence on Terrace Avenue, overlooking Lake Michigan. Along the length of the connected living room and dining room stood one long wall of floor-to-ceiling bookshelves, jammed full, the most books I have ever seen in any home. Our gracious host then made a discussion of Samuel Beckett’s Endgame far less dire and bleak than it might have seemed otherwise. His words were golden to me. I imagine numerous UWM graduates have comparable memories of Ihab Hassan. After he retired, he continued to write, publish and stay active at UWM, and was helping organize a symposium Beyond Crisis: The Humanities in Renewal on November 19 at the Zelazo Center. The capacity-crowd at that event included readings from Hassan’s work and warm and insightful memories from Hassan’s colleagues and literary fellows. In the end, his educated heart gave out, but never his intellect, passion or spirit. Ihab Hassan, born in Cairo, quested far around the globe many times. He was the best of questers, even in the worst of times. And he spoke indestructibly to all, to our best selves, our better angels. Hassan alludes to Wallace Stevens’ well-known poem “Anecdote of the Jar,” which explores the question of the superiority between art and nature. 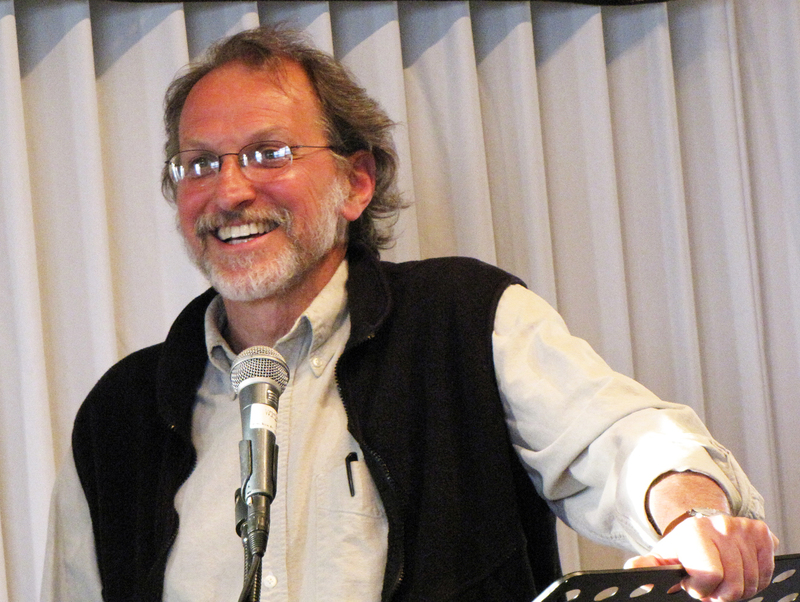 Kevin Lynch is a veteran, award-winning arts journalist, educator, and visual artist. He won The Milwaukee Press Club’s 2013 gold award for “Best Critical Review of the Arts” for the Culture Currents blog “Edward Curtis Preserved America’s Vanishing Race for Posterity.” Lynch was a long-time staff arts writer for The Capital Times in Madison and The Milwaukee Journal, where he was lead writer of a Pulitzer-nominated Newspapers in Education project called “That’s Jazz,” which was used in Milwaukee Public Schools and The Milwaukee Jazz Experience. He’s also written for Down Beat, The Village Voice, The Chicago Tribune, Graven Images: A Journal of Culture, Law and the Sacred, New Art Examiner, Rain Taxi, American Record Guide, CODA (The Canadian jazz magazine), Wisconsin Natural Resources Magazine, Scene PBS TV magazine (Minneapolis), The Shepherd Express, OnMilwaukee.com and a featured blogger on roots music for NoDepression.com. Lynch blogs at Culture Currents (Vernaculars Speak).